The Rockies are off to another hot start in April, but can the pitching hold on? The Colorado Rockies, thanks to a phenomenal offense and surprisingly solid pitching, are only one game back of the L.A. Dodgers for the NL West lead. An 8-7 start is impressive, but there are 162 games in a season, so what have the Rockies been doing right, and what can they do to keep it up? 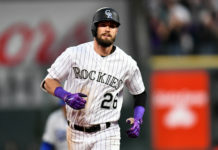 On Tuesday, MLB scout Ed Henderson joined Sean Walsh on MHS Late Night on Mile High Sports AM 1340 to talk about what has been going well for the Rockies. The Rockies are no strangers to starting a season off right, as they were 16-12 and 11-10 in April of 2014 and 2015, respectively. This season, however, is starting to show some more promise for longevity. “You take a guy into the seventh inning, and you’re gonna really spare the bullpen a lot of work,” Henderson said. Having solid starts from the pitching staff has significantly lightened the load for the bullpen, which will ultimately keep strong arms like Miguel Castro and Jake McGee fresh for later in the season. Good showings from Tyler Chatwood, Chad Bettis and even Jordan Lyles have helped keep the load off the bullpen so far this season. “I know that Lyles has been up and down, but maybe he’s found his niche, maybe he is settling in a little bit here,” Henderson said. 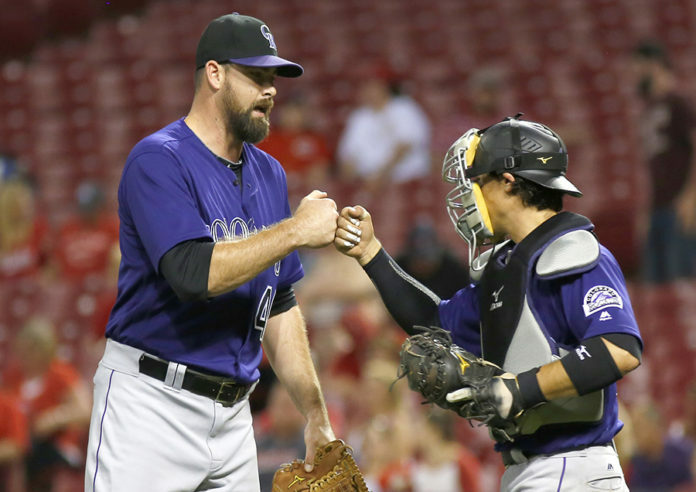 That would be good news for the Rockies, as their top three starting pitchers have a combined ERA of 3.87. To put this in prospective, those numbers are heavily bringing down the team ERA of 5.55, which ranks last in the MLB. Listen to the full discussion in the podcast below.